November 2016, Vågå and Lom. Autumn 2016 Jutulskinn decided to take an order to make acoustic boards for the new gallery room at the Norwegian mountain center in Lom. 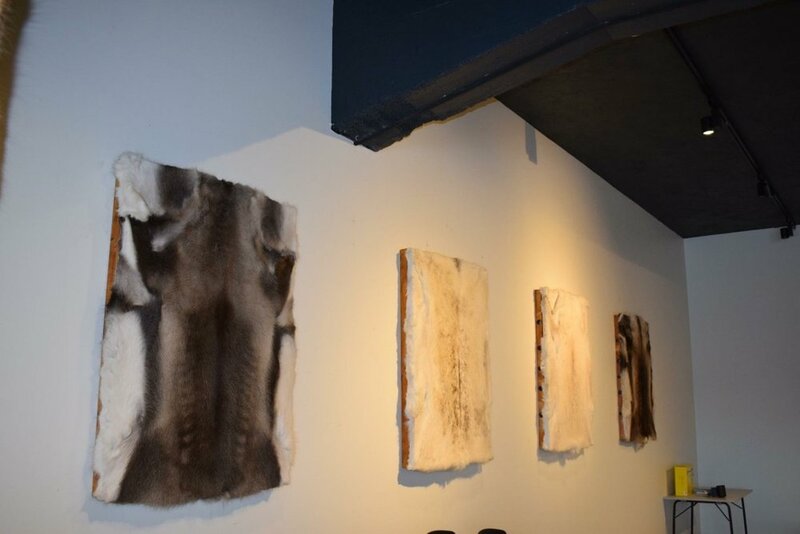 To the gallery room we made 8 large boards covered with reindeer skin. Boards were supposed to be ready for the Ski festival and the concert with Fay Wildhagen. Audio engineer in the concert told that skin boards worked well.